Apple iPhone XS Max back glass replacement with ✓ High Quality Glass at ✓ Lowest cost. Take advantages of ✓ Free pick up & drop ✓ 1 Day Turn around Service. We have our repair chain in Powai - Mumbai, Goregaon - Mumbai, Naupada - Thane West & Sanpada - Navi Mumbai. Various Qualities Available. Fill out Inquiry form or give us a direct call for urgent Inquiries. It is Horrible Nightmare seeing your broken iPhone XS Max back glass. We Offer iPhone XS Max back glass panel replacement service in Mumbai, Thane & Navi Mumbai at very competitive price. so don't worry and save some cash for yourself. We got you covered!!! replace iphone XS Max broken back glass. 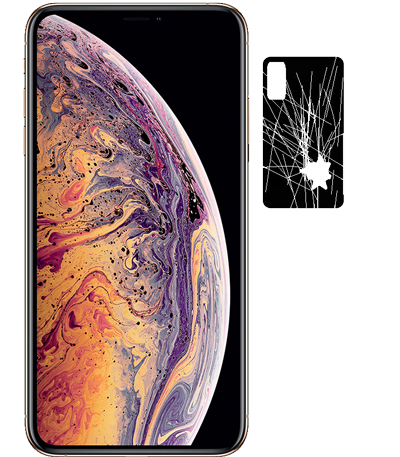 iphone XS Max back glass got shattered. where to replace iphone XS Max back glass panel.